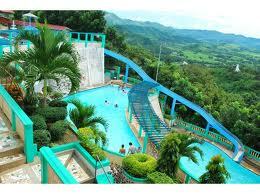 Seeking for the list of resorts in Antipolo? Visit Boso Boso Highlands Resort instead and you won't even have to search anymore. It is absolutely one of the best place to unwind and do a relaxing bonding event in this resort. Its gives an exposure of excellent sight with an air that is free from all kinds of pollution from cities. You can enjoy the ride of Zipline which both Filipinos and foreigner want to enjoy experiencing. This kind of activities nowadays are very popular for both kids and adult alike. Take the nature of this resort and smell the fresh air from your private veranda only at Paradise Hotel of Boso Boso Highlands.You can avail use of our layered pool and enjoy the nature's beauty of this resort. Come and enjoy to the fullest vacation in Antipolo City. Apart from the list of just your standard set of amenities for a private resort, this place gives you a unique ambiance from above the hills of Antipolo, Rizal due to its specific and special location overlooking from the hillside. It also gives you a taste and breath of fresh air in the morning and the cold breeze during night swimming. A conference room can meet and greet participants of large meetups and team building or company outing. You can reach Boso Boso Highlands Resort easily. Just travel Rizal and follow the map guide provided below from Google Maps for the location. It will serve as your guide whether via commute or if you have your own car and you want to come to the overlooking zipline.